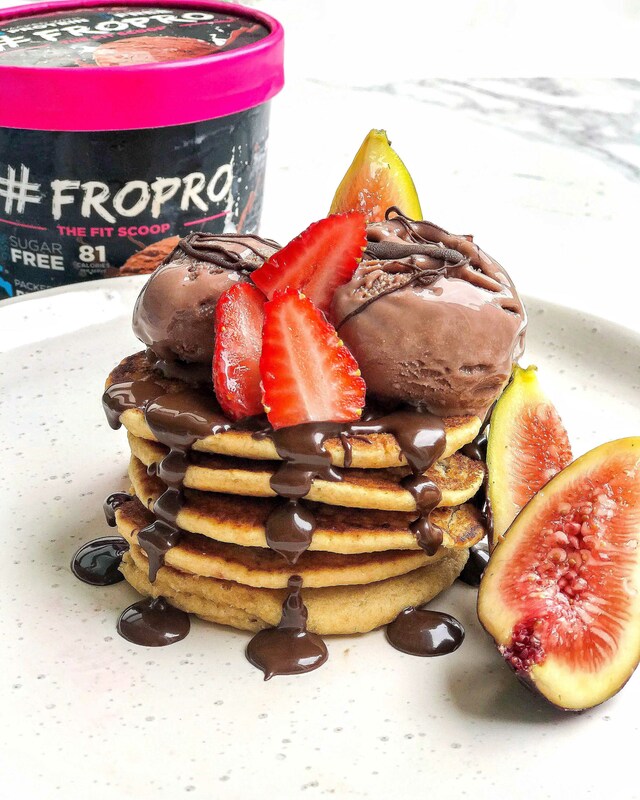 Try our new Pancakes using our 95% sugar-free, high protein, low-fat Chocolate FROPRO ice cream! Recipe makes about 15 small pancakes. Sift the flour into a large mixing bowl and add all the wet ingredients (maple syrup, 2 tablespoons oil & almond milk)! Whisk the batter thoroughly until combined & then set aside. Meanwhile heat a large non-stick pan over medium high heat. Add a drizzle of coconut oil into the pan and swirl it around to coat the bottom. Add 2-tablespoon portions into the pan, cooking about 2-3 per batch (I use an ice cream scooper). Fry the pancakes for 2 minutes on each side or until bubbles appear on the surface and edges appear to look dry. Flip and cook for another 2 minutes, than transfer to a warm plate. Repeat cooking the remaining batter, adding more oil to the pan as needed. Once Pancakes are made, stack about 5 on top of each other and load with two scoops of chocolate FROPRO! Melt two squares of chocolate in microwave, using a microwave safe bowl. Drizzle melted chocolate on top of ice cream and pancakes! Chop up desired fruit (I used figs and berries) and place around pancakes! 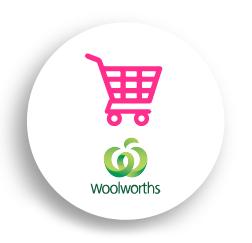 Head to www.fropro.com.au/stockists for your closest Chocolate FROPRO stockist!